The Bill & Pay online solution provides its clients the ability to automatically send invoices to and receive payments from its customers. Invoices and history are presented to the customer via a securely branded customer portal. Payment processing includes Automated Clearing House (ACH) or credit card payments. Recurring payments and payment plans can be set up and approved by the business or customer. These options are chosen by each Bill & Pay client. 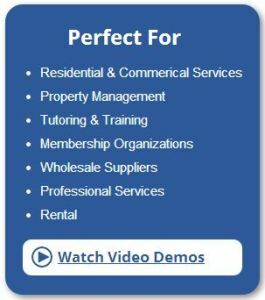 The robust feature set, including QuickBooks integration, makes Bill & Pay a unique and highly marketable online payment solution for small- and medium-sized businesses. The Bill & Pay online solution has been able to meet these needs with a combination of customization and robust out of the box features. According to billing manager Heather Lamb, Cloud9 can now create customized reports – with only the data she needs – that can be saved and run each time the report is required, thus saving valuable time. As for ACH payments, the old invoicing solution required Heather and 2 others on her team to input data, print and physically deliver checks to the bank. The billing team no longer has to go through this daily painful process. Heather estimates that the elimination of these tasks saves 6 hours/week collectively. 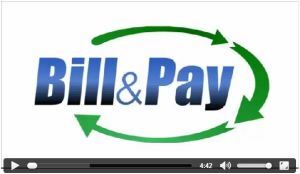 The Bill & Pay online solution facilitates more flexibility for recurring payments. According to Heather Lamb, ‘We can set up a different credit card for one invoice over another which makes it much easier for the billing department who gets dozens of these requests.’ Also, when a customer receives an invoice from Bill & Pay there are more robust self-help options and enhanced security. The added security protects both the customer and Cloud9. Finally, Heather discovered a bonus feature when first learning the ins and outs of the product – the Bill & Pay online solution applies the customer number on each invoice sent to the client – which allows billing to quickly and efficiently service the customer. ‘Bill & Pay has made my life in billing easier and saved time I can apply to other projects…’ says Heather. Visit with Bill & Pay next week at the 5th Annual Cloud9 Summit in San Diego! Cloud9 Real Time, Leading Change in Small Business Accounting and Computing!